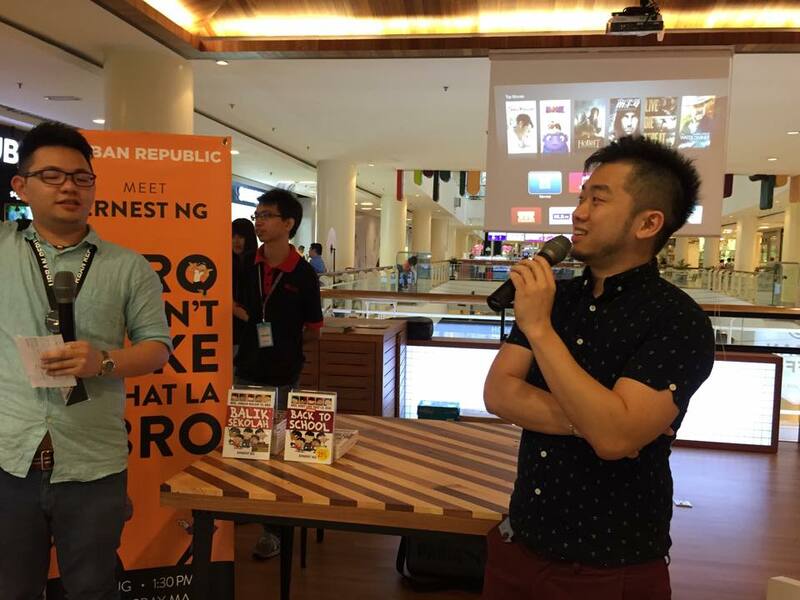 Helping Malaysians smile, one comic at a time! These are just some of many local talented cartoonists and while we can't name everyone out there, tell us if you're a fan of a daily cartoonist who isn't on this list in the comments below! You probably have seen Ernest Ng on popular Youtube videos by Malaysians as he is indeed, one of the Youtube sensations in Malaysia. But perhaps you didn't know that Ernest has published a few comic books, and he frequently posts comics on his Facebook page, 'Bro, don't like that la, bro'. To the uninitiated, "Bro, Don’t Like That La, Bro" is a comic biography of Ernest and his other four childhood friends affectionately referred to as “bros”. “I realised I had a lot of stories to tell about the misadventures that I had with my ‘bros’. Initially I wanted to write about them, but I felt that I can tell the stories better if I drew them,” Ernest explains when asked about his comic blog. 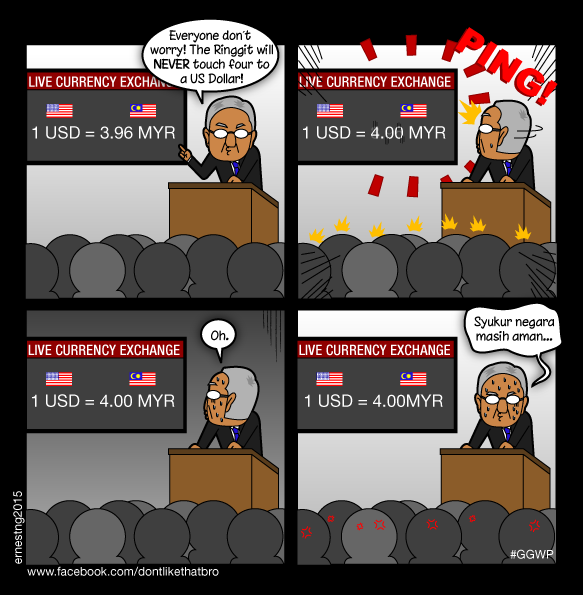 Today, you will find that there are a lot of comics which relates to the latest happenings in Malaysia on Ernest's Facebook page. Be sure to like and follow Bro, don't like that la, bro here. Boey Cheeming shot to popularity because of his illustrations on paper and foam coffee cups, and his daily webcomic "I Am Boey". Primarily known only as Boey, he has published 3 autobiographical graphic novels. His book, the autobiographical comic, When I Was a Kid 3, took first prize in the non-fiction category at the recent Popular-The Star Readers Choice Awards (RCA). “This feels so good,” a visibly emotional Boey said upon receiving the award. “This really means a lot to me,” he added. Follow and like Boey's Facebook page here! Not much is known about Vulpineninja yet but we managed to get more information from the artist herself. While her real name shall remain a mystery, VulpineNinja introduced herself as VieN. VieN has been drawing since she was a child, and she started out as a doujin artist (amateur or fancomic) in 2004 with a group where they sold independent comics in Comic Fiesta 2004. She took a break for a few years then got active again around 2012 by selling self-published original comics and fanbooks usually with friends in anime conventions. 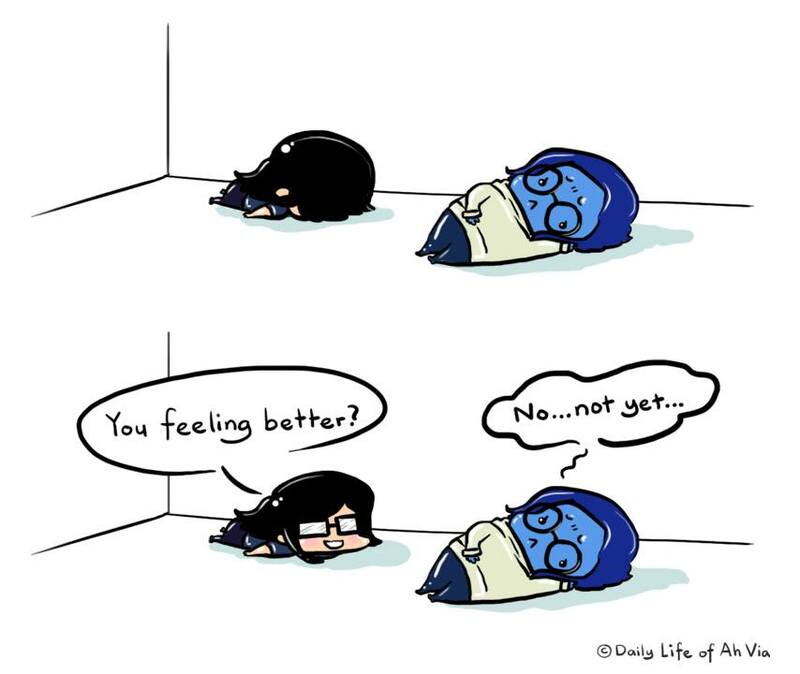 She originally did more fanarts but she started to put up random comics on her Facebook page some time last year. 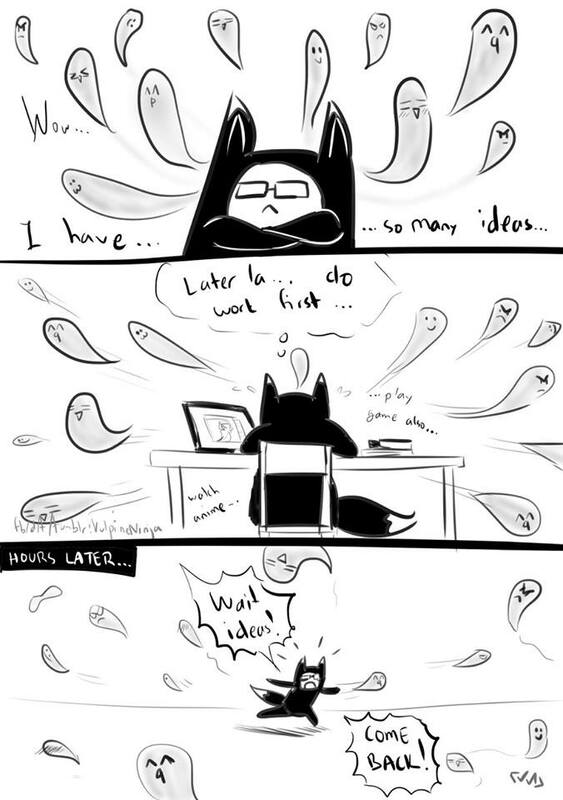 VieN had been wanting to do these comics for a long time but wasn't confident enough. She always wanted to express her thoughts and feelings regarding certain issues or do some kind of public service announcement especially for Malaysians. One day, she told herself, "Just do it!" and took her first step out of her comfort zone. We're so glad she did! 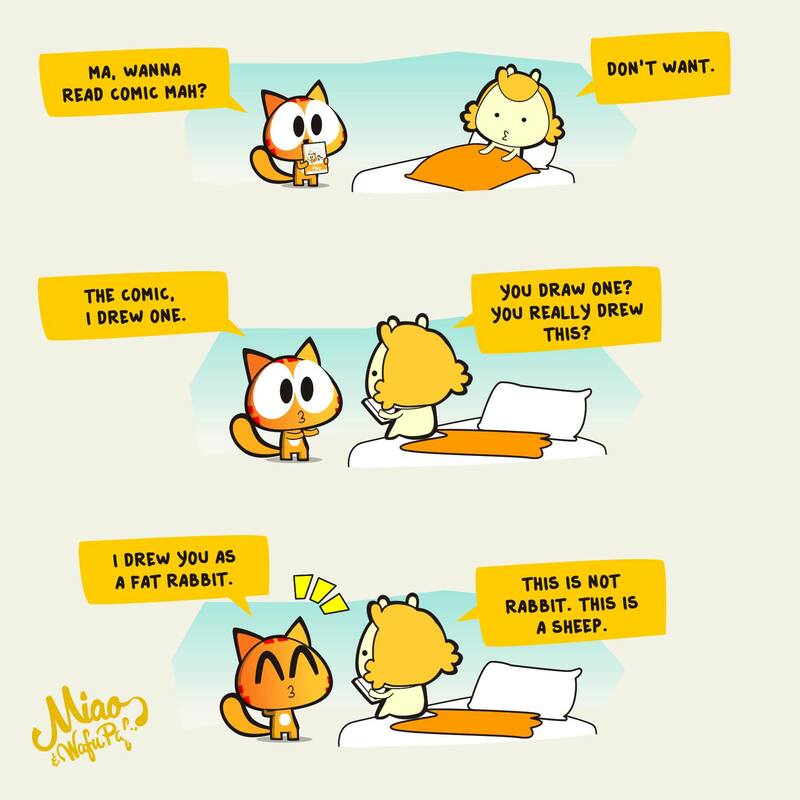 Husband and wife, Yolk and Egg, started their journey of drawing in 2008 when they created a blog called created a blog called theeggyolks. Without the luxury of buying nice (and expensive) DSLR cameras, the pair ended up doing simple illustrations for their blog. But why Yolk and Egg? Basically Yolk's (the husband) surname is "Wee" which sounds like yellow in Mandarin while Egg's (the wife) surname is "Tan" which sounds like "Egg" in Mandarin. So they decided to adapt the name "eggyolk". 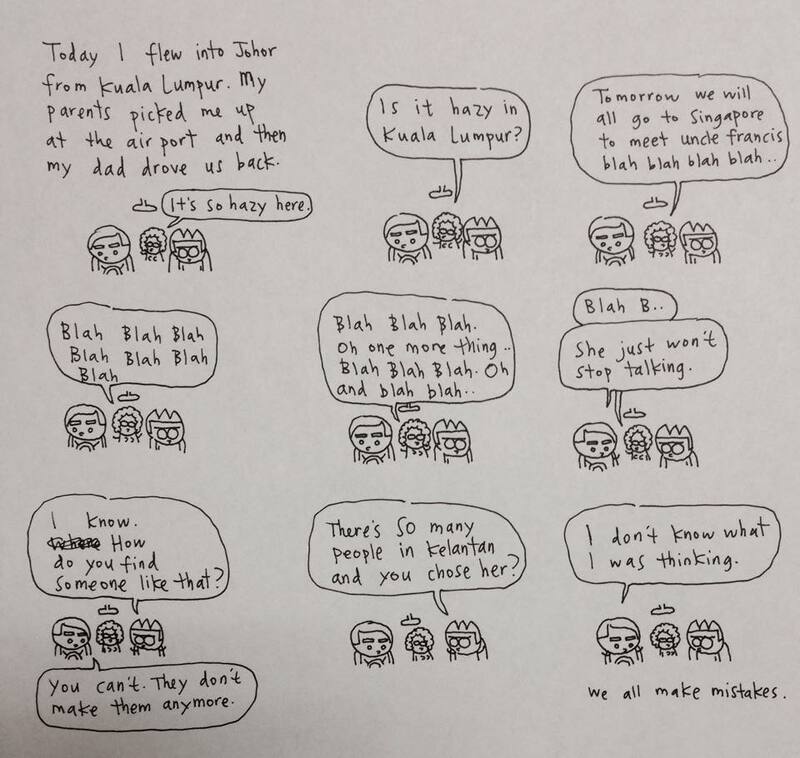 Their inspiration for comics come from the things that happen around Malaysians, especially news that goes viral. Egg and Yolk tend to do parodies most of the time (just for laughs) and sometimes they just want to try to express their feelings like how every typical Malaysian would feel, especially during times like election and tragedies. 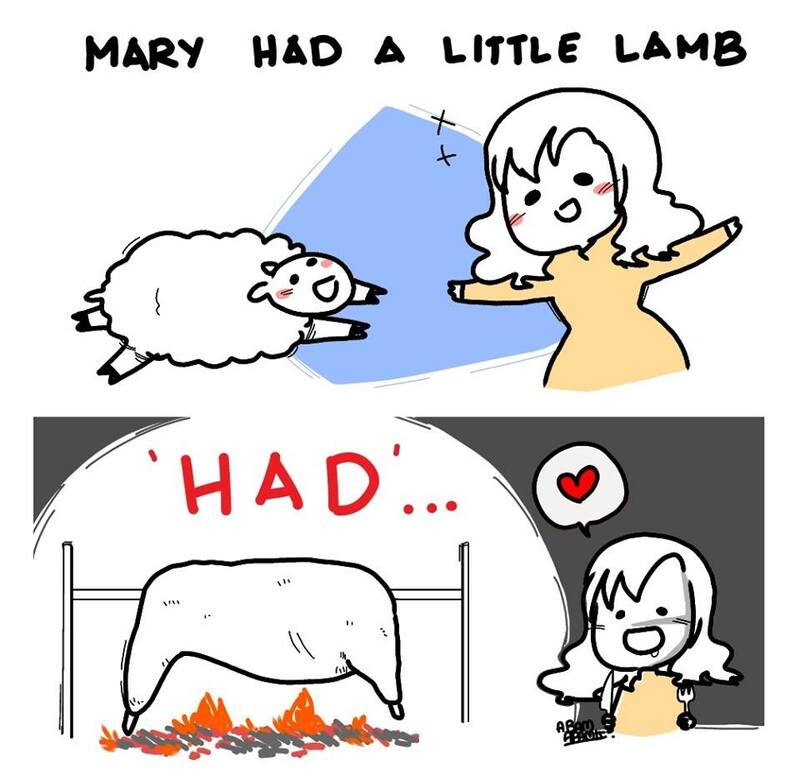 Although they started their Facebook page during 2009, they only started to actively post framed comics around 2010 when some of their comics went viral in 9GAG and SGAG. As the blogging scene begin to lose its steam in recent years, Egg and Yolk decided to post more of their drawings on Facebook. The couple used to do the drawings together but these days, Egg is doing the proof-reading part most of the time. Like and follow theeggyolks on Facebook here! Sylvia, a 3D animator for a TVC studio, has been drawing since she was about 9 years old but she only decided to pursue drawing more seriously in her university days. Sylvia recalls the time when she was so intrigued by cartoons and anime that she actually tried copying or tracing from an actual comic. It was her grandmother who constantly encouraged her to learn drawing. Before the birth of Daily Life of Ah Via, Sylvia was mainly doing illustrations as a hobby on DeviantArt and integrated her artworks with her handmade books on her first Facebook page, Legardria. 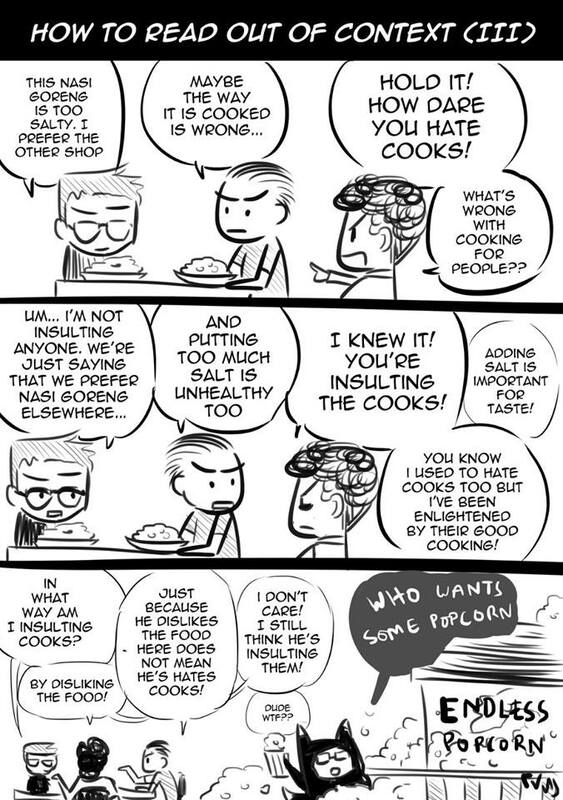 In August 2015, Sylvia made the decision to have a special page just to post these comics, and that was how Daily Life of Ah Via came into existence. Daily Life of Ah Via is mostly based on the artist's life experiences, but it is also a place where Little Ah Via could re-live and re-visit things that had happened before in her life and be totally free with her imagination. Sylvia told us that her inspiration came from friends, family and also life experience, and counts herself blessed to be surrounded by crazy yet fun people in her life. Fun fact: The name Ah Via or Via Via was actually another name given by her ex-colleague. Like The Daily Life of Ah Via on Facebook here! 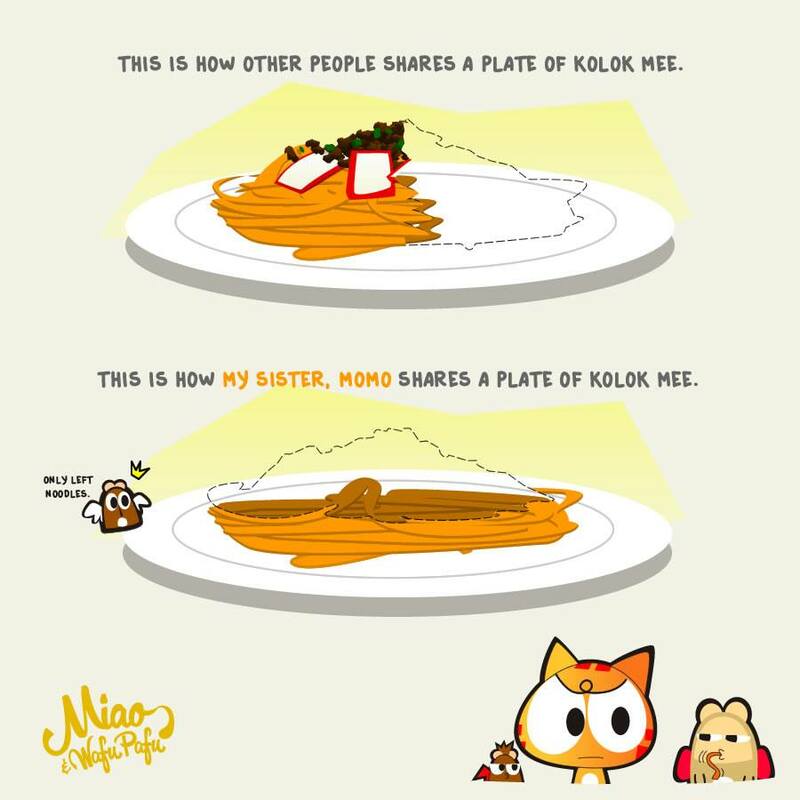 Jian Goh, or popularly known as Akiraceo, gained popularity through his comic-strip blog Miao & Wafu Pafu, where all main characters in his comics are depicted as anthropomorphised animals. But what, or rather who, exactly is Miao & Wafu Pafu? Basically, 'Miao' represents Jian while 'Wafu and Pafu' are his dead pet hamsters who have been incarnated as angel and devil counterparts. “When I started blogging, I needed something to represent myself. I love cats and, somehow, I am the only person who likes cat in my circle of friends, so I figured it was the best representation of me,” Jian explains. And what grew in popularity on his comic-strip blog, ultimately culminated in Once Upon A Miao, a collection of Goh’s stories from his childhood before he moved to the peninsula to further his studies. “Down the line, I realised that by using animals as the characters, I can remove any racial context in my stories,” he reckons. Follow and like Miao & Wafu Pafu on Facebook! Of all the artists in this list, Zulkiflee Anwar Ulhaque (popularly known as Zunar) probably needs the least introduction. The political cartoonist has been detained twice under the Sedition Act and was recently charged with nine counts of sedition. Five of his cartoon books have been banned by the Malaysian government on the grounds that their content is "detrimental to public order." 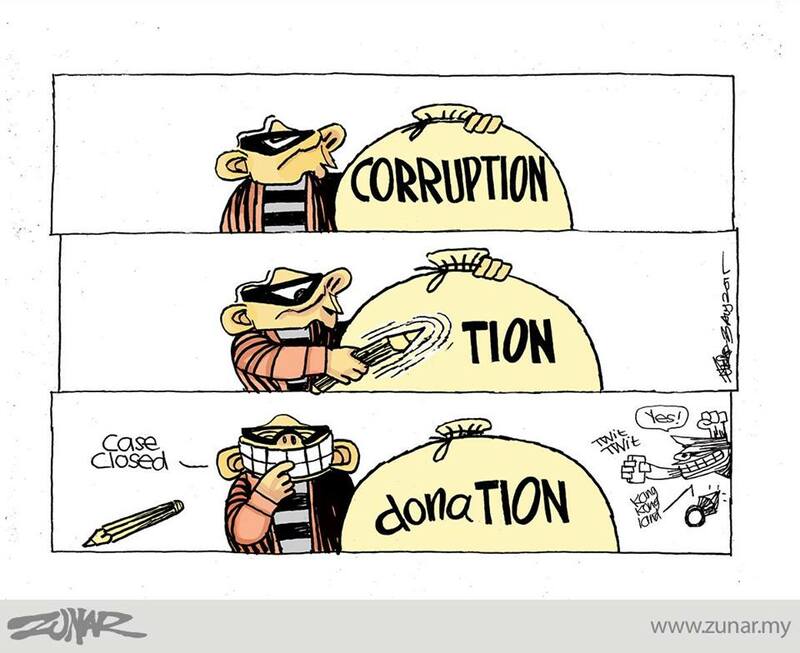 Still, Zunar is relentless and is putting up his comics almost daily on his Facebook page. Farhan Bakri started Comicstriper in 2010. As with a lot of comic artists, Farhan first started getting more audience by blogging, but he later shifted to using Facebook as the social platform has more engagement. At the beginning of his journey as a comic artist, Farhan found himself drawing more about Malaysian cultures relating to issues such as Malaysian drivers, our TV drama style, food, customs, or how we Malaysians react to certain sensitive issue. 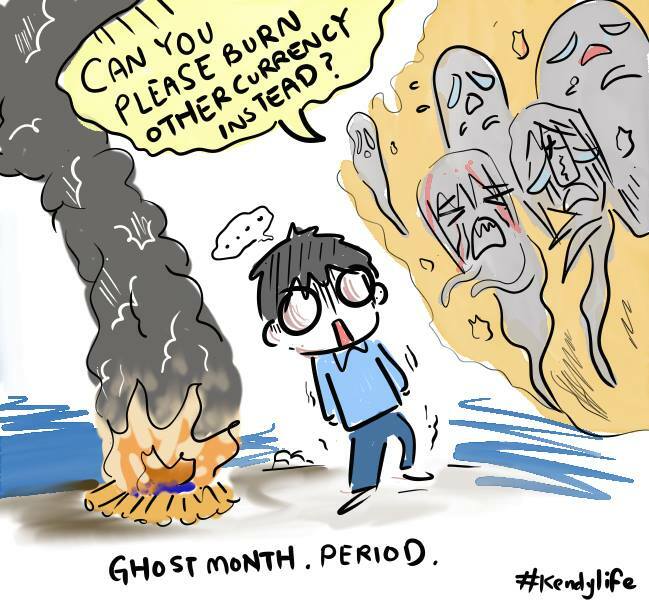 Somehow, Farhan begin to draw about things that are more sensitive but approach them in a lighthearted way, especially about the political scene in Malaysia. He believes that all Malaysians should be treated equally, as we cannot deny that our nation is a multiracial country. He said, "So all Malaysians should accept this. How can we live together if we do not accept our diversity?" 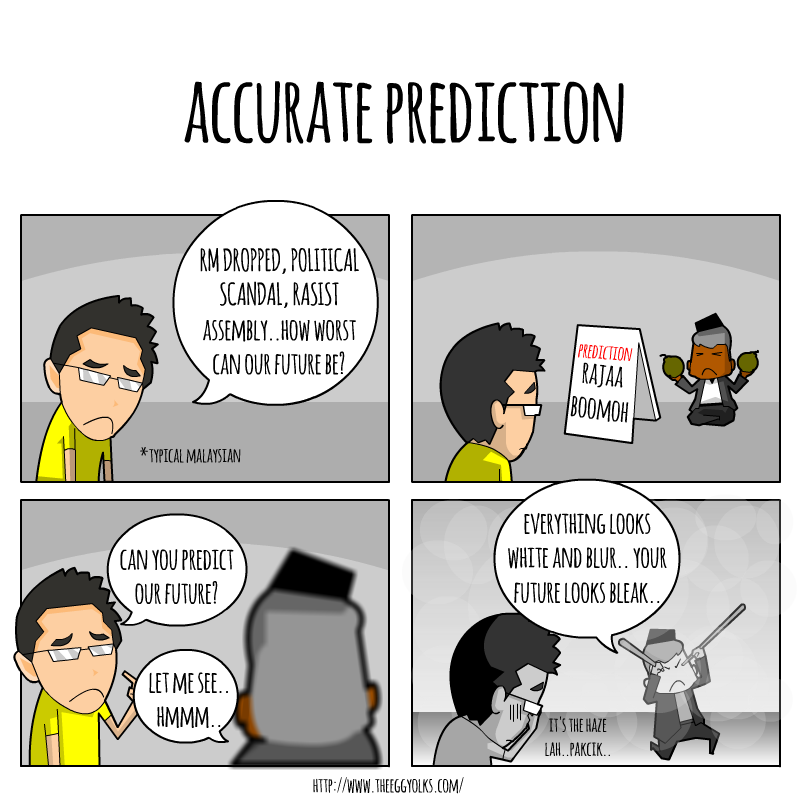 Farhan likes to post his comics to inspire others on how the nation can do better together, so he always tries to make his comics to be about how can we be more mature in accepting different opinions in a moderate way. 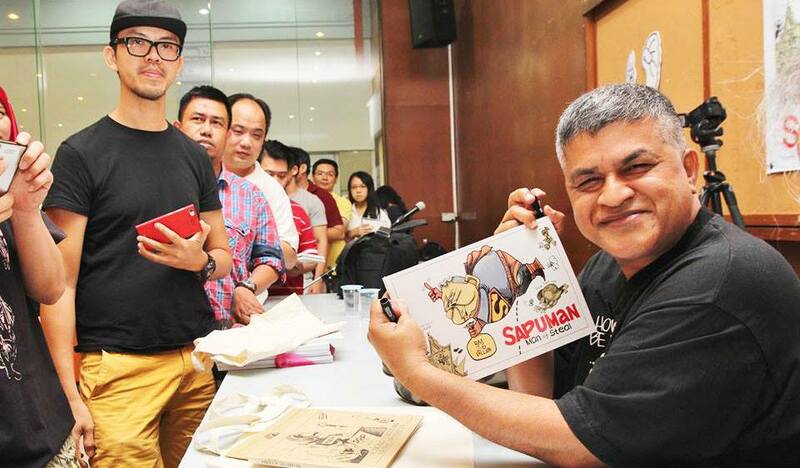 Some artists that inspires Farhan include Gavin Aung Than (Zenpencils), Matt Groening (The Simpson & Futurama), Nud's (Lawak Orang Malaysia), Lambok (Ujang) and Dato Lat. Do follow and like Comicstriper on Facebook here. Rasyadan Bin Ruzil founded Komik Sarkazam on 17 August 2015 with little expectations but things went well for him as his first post, 'Perangai Orang Kita', went viral and received a lot of attention, both positive and negative. The establishment of Komik Sarkazam is not meant to become a place to spark flaming and offensive remarks, endless arguments, or other negative means, but only to provide different perspectives in dealing with daily issues, mostly involving religion and racial-based issues. In his own words, "Komik Sarkazam is to offer simple and straightforward information about Islam since it's clear that non-Muslims are having problems understanding what is going on in the world of Islam, especially in Malaysia. Instead of pointing out what's wrong with other religions, I choose to point out what is good about Islam as one of the main goals of Komik Sarkazam." 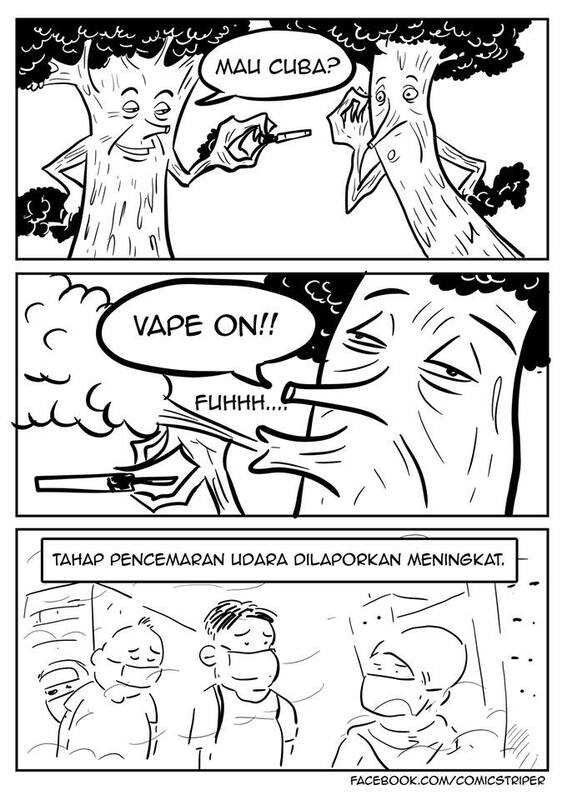 As the name of the page suggests, Komik Sarkazam features comics with the approach of satire, sarcasm, ironic remarks and constructive criticism. One of the biggest hurdles for Rasyadan is that he frequently gets negative feedbacks that condemn his contents but Rasyadan pointed out that readers of the page must have a basic understanding of reading between the lines in order to grasp the real meanings of the contents on his page. Some of the pages that inspired the very existence of Komik Sarkazam include Fanikatun.com, Vulpineninja, Comicstriper, FB-Chan, Komik Misadventure of Ginjal, and Komik Ropol Ropol. 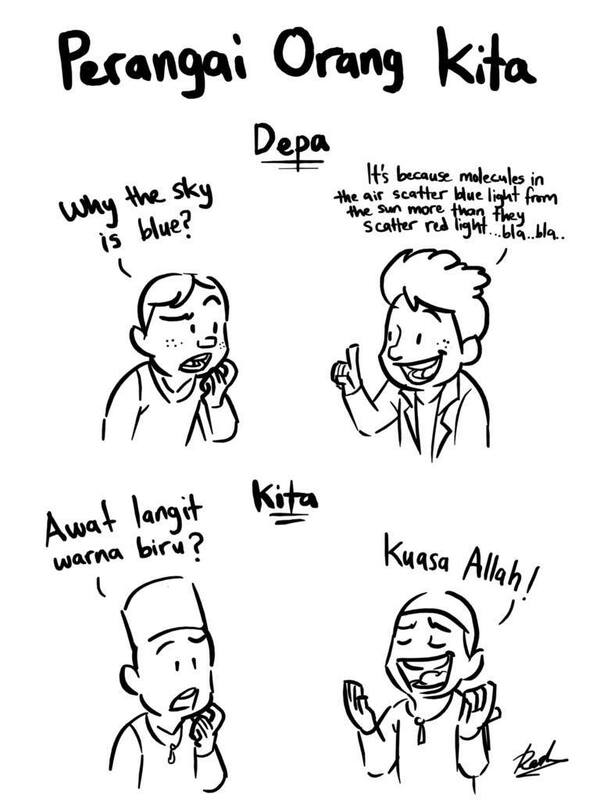 Give Rasyadan a like for Komik Sarkazam here. 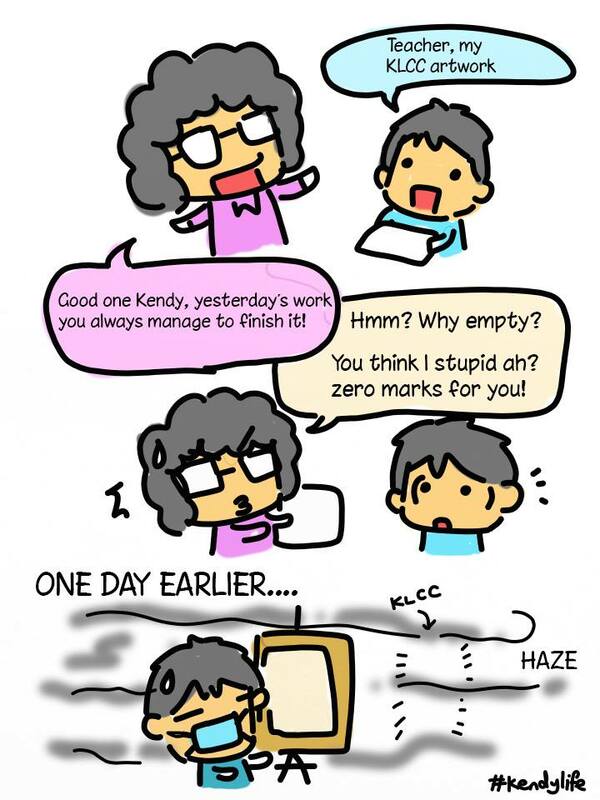 Kendrick, or known as Kendy Kun by netizens, has been drawing since he was a child. 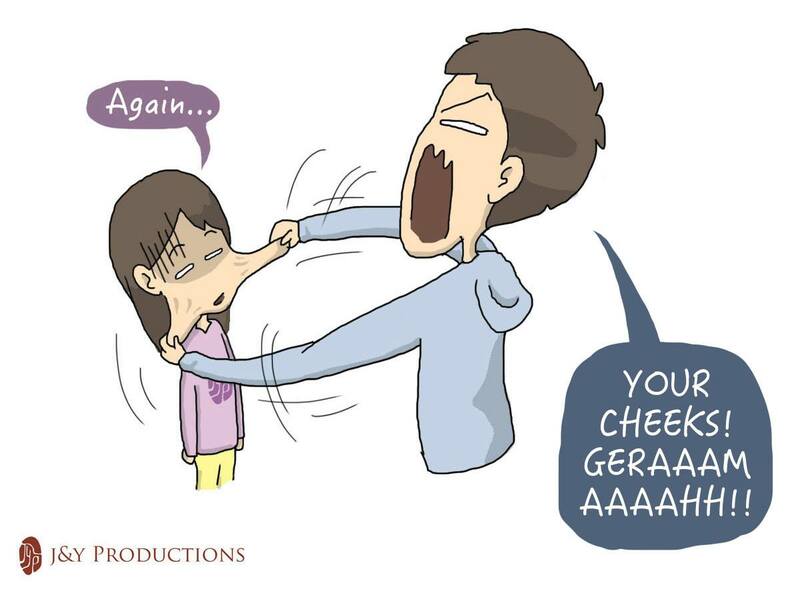 You will find that his comics are a combination of chibi (small child) style and doodling. Kendrick recalls doodling and drawing about himself and some other imaginary friends, and he gives away his artworks to friends for fun. One day, he created a comic blog with the intention to impress his crush at that time, but sadly things never turned out the way he expected them to be. However, little did he know that his lovely gesture turned out to be a blessing in disguise as his friends started to share his comics and doodles as their source of inspiration. That was how he started putting up comics online. Originally, Kendylife was created to showcase his photography and designs but it has now become a page where Kendrick shares his doodles as well as his comic strips. Give Kendylife a like here. ‘J&Y’ stands for ‘Jason Shyang’ and girlfriend, ‘Ymei’, the couple behind J&Y Productions. While Jason focuses on producing content, Ymei helps to manage the page. 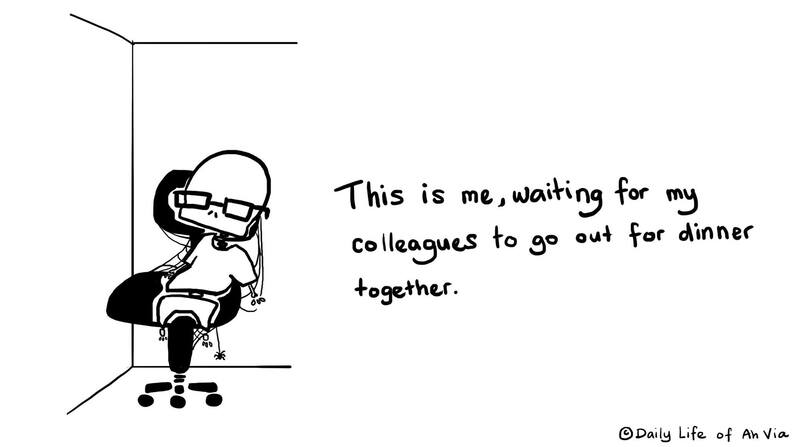 Five years ago, Jason started drawing comics for Ymei when the couple was in a long-distance relationship because he was better at expressing himself in drawing than writing. One day, Jason thought of creating a page to display his own works and to his surprise, the responses that he received from his friends were very positive. 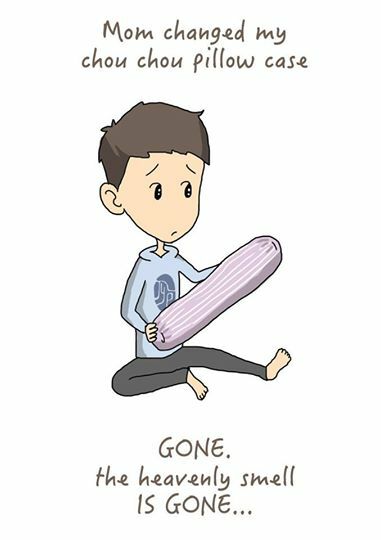 On J&Y Productions, you will find a lot of comics that you could probably relate to in your daily life, especially if you are currently in a relationship. Jason is now working on his first ever comic book, which should be available next year. Follow and like J&Y Productions here. The name ‘Abam Apam’ started off as a joke, but the name sticks so Abam decided to keep it because people often mistook him as a girl with his previous pen name, ‘Usagi’. Abam has been drawing for as long as he can remember, but he only started drawing comics seriously at the age of 13. At that time, his drawing style was heavily influenced by the local Malaysian-like drawings. Abam had experimented with manga style but it didn’t fit his scribbly strokes so he never really made as impact as an artist until one of his comic strip about Shingeki no Kyojin (Attack on Titan) became viral about 4 years ago. Abam usually does puns, be it English or Malay puns. 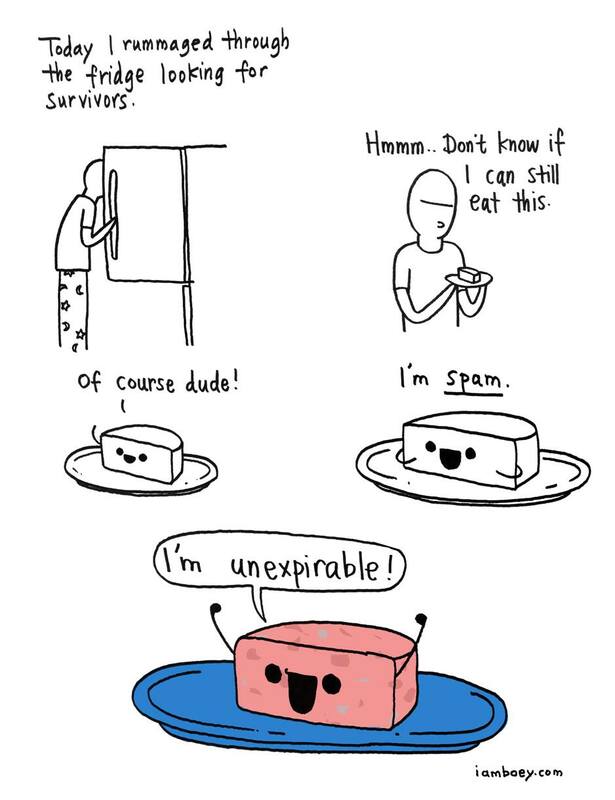 "They're all terrible, but you know, its a pun. If it is terrible, then it is good," Abam said. Abam has done parodies of folklores, local and international including Pinnochio, Sleeping Beauty, Batu Belah and Puteri Gunung Ledang. 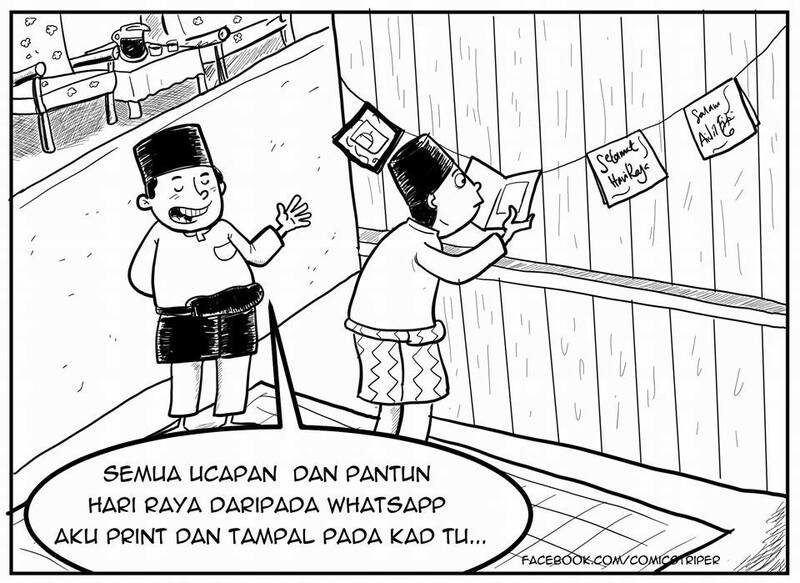 Sometimes, if there's a pressing issue, Abam would present his views on it through his drawings. 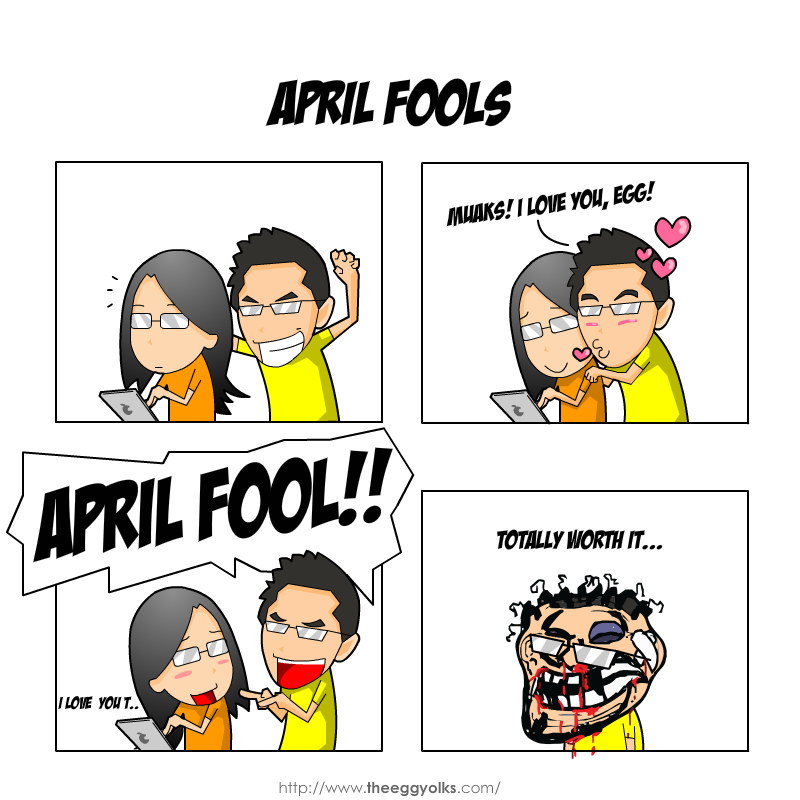 Occasionally, he will also do some short love comics. There are no specific themes when it comes Abam Apam's page but at the right mood and time, you can be sure that Abam will keep it updated. Look out for more punny stuffs from Abam Apam here. One Pint Normal Saline (OPNS) is one of the most special pages that we've stumbled upon. 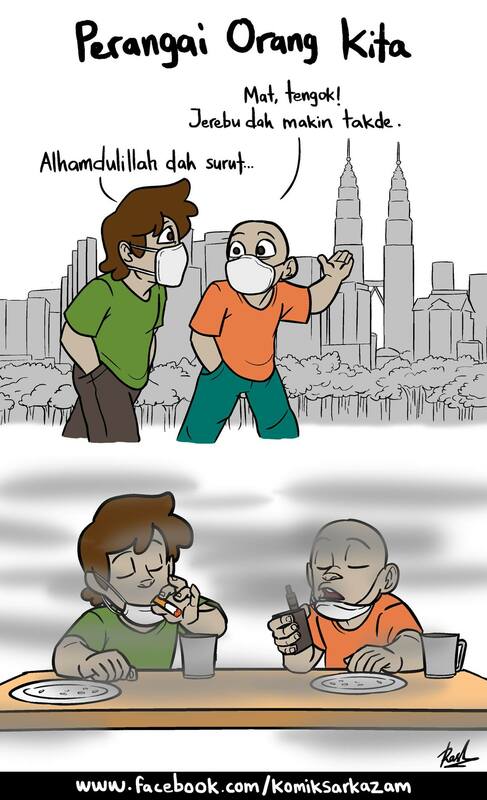 It's quite interesting to see a Malaysian page that caters to a niche crowd, namely those in the medical field, by turning daily issues and struggles faced by healthcare staffs into satirical comics. But who is "One Pint Normal Saline"? The team behind OPNS told us they would rather keep their identity anonymous as they don't want anything compromising the professional conduct of their daily clinical practice. However, OPNS did reveal that there are 3 people in the team: the illustrator (author of OPNS and the only one who draws), the brain (does some writing and brainstorms for ideas), and the manager (helps with OPNS' online store). Bonus info: The author was a regular weekly columnist in one of the local newspaper. He even has a self-published book too. Why “One Pint Normal Saline” though? It happened on one fine day, when the author decided to look at one of the statement that he writes most frequently in patient's case note, and that happens to be "Run One Pint Normal Saline", and so the rest is history. 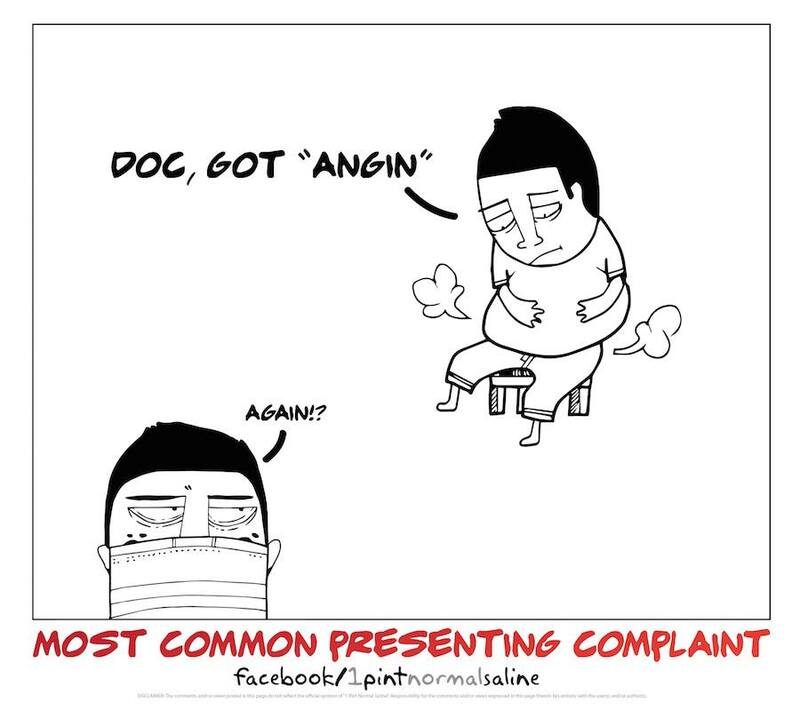 OPNS told us that the author had this idea of drawing medical-related comics since his medical school days but he wasn't able to find the time and energy to do so. Finally, the author put his thoughts into action after passing his entry exam early this year. The team needed some "extracurricular activity" outside their usual stressful practice in medical field to "maintain their sanity", and the creation of this page gives them that avenue. OPNS hopes that they will be able to provide more fun and laughter to all medical health care staffs, and that the page can be a source that aids their daily stressful encounters. They also hope that everyone can take the jokes and satires with an open heart. 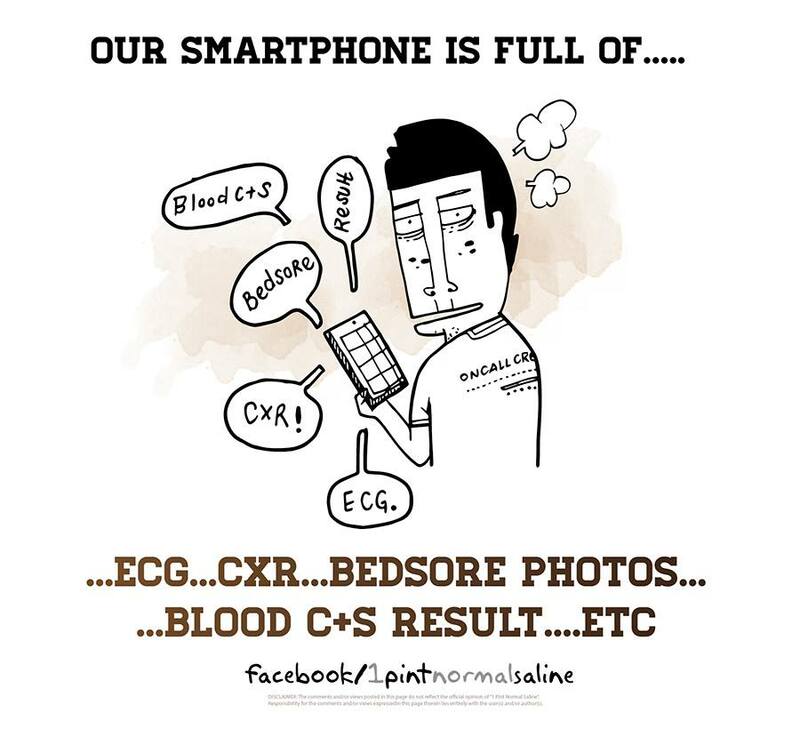 Like One Pint Normal Saline on Facebook here. These are just some of MANY local talented cartoonists and while we can't name everyone out there, tell us if you're a fan of a daily cartoonist who isn't on this list in the comments below! Tambahkan perisa tempatan dalam Instagram feed anda. Meanwhile, have you seen this guy who leaves random doodles in cafes and restaurants? Makanan yang dijual di Nyaaan-Bento sangat comel, kalau tempah pasti rasa sayang nak makan.